Sometimes, a big video game launch requires something suitably big to promote it. To mark the launch of its long-awaited new title, Overwatch, Blizzard Entertainment has partnered with Droga5 to create three life-sized action figures (mint condition in box, with all accessories) from the game and placed them around the planet. Unfortunately for fans, it's not clear whether Blizzard will actually create collectible toys for the game, so these designs might have been created solely for today's promotion. 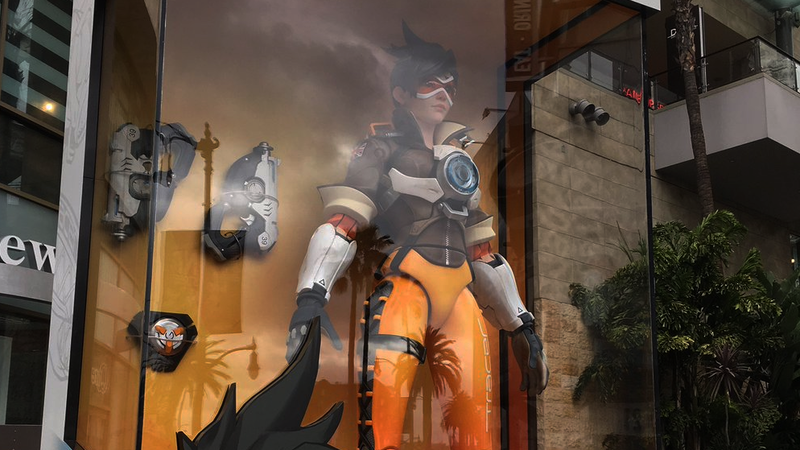 The first attention-grabbing installation was revealed in Hollywood, where a large version of the Tracer character is currently on display on Hollywood Boulevard. A second character, Genji, is now standing outside Paris' Centre Pompidou, and a third is scheduled to appear in Busan, South Korea.